With thanks to Tony Ingham for providing the scans and comments. This shot taken in the 1930s. 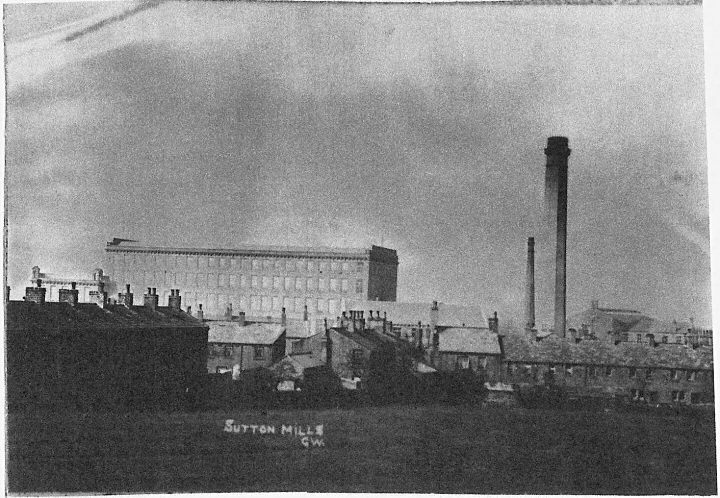 The houses on Holme Lane are just being built, then lower right there is the Sutton Football Club pavilion. 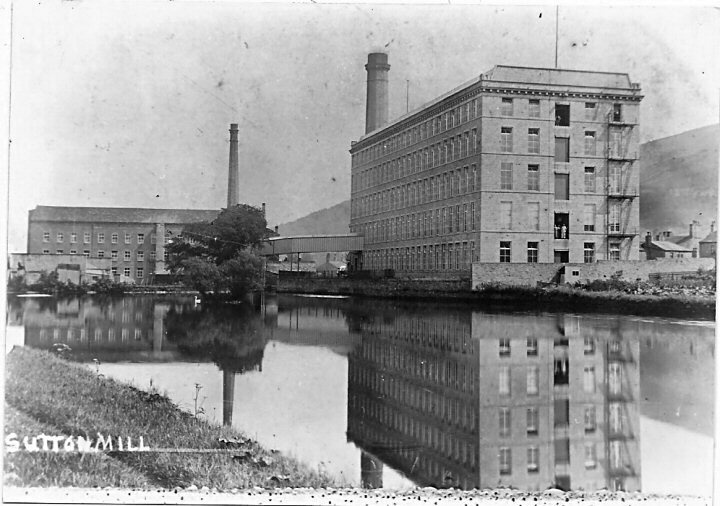 View of Mill before the second extension was added c1890. Picture below shows the second extension. 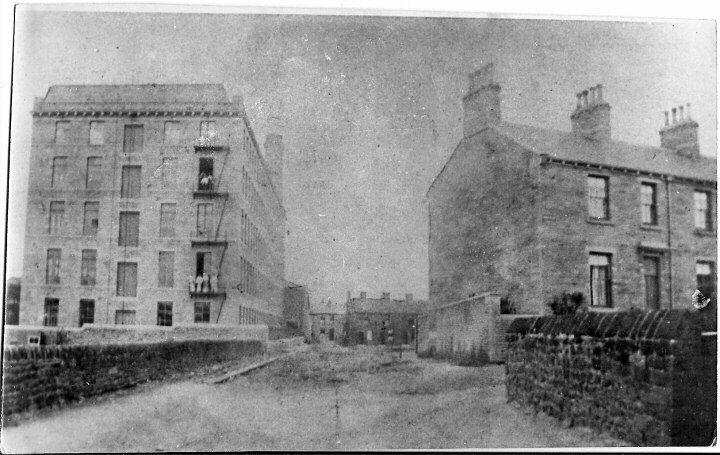 Second extension added, note Dixon Street is just being built behind Tetley Row (now demolished). 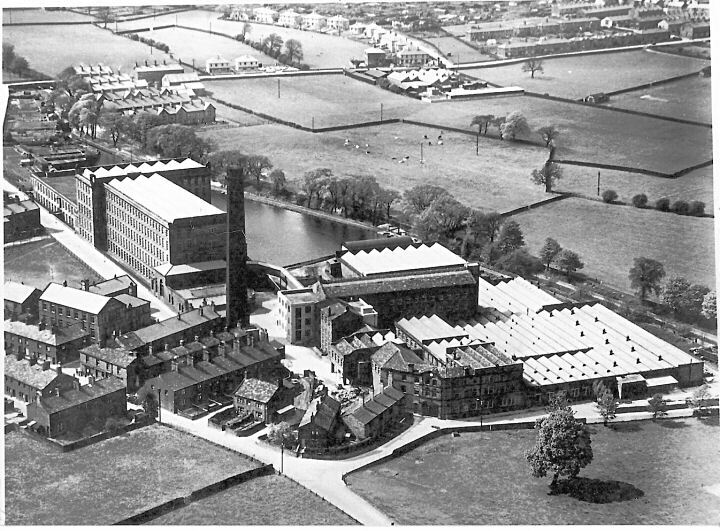 First phase of extension being built c1900. 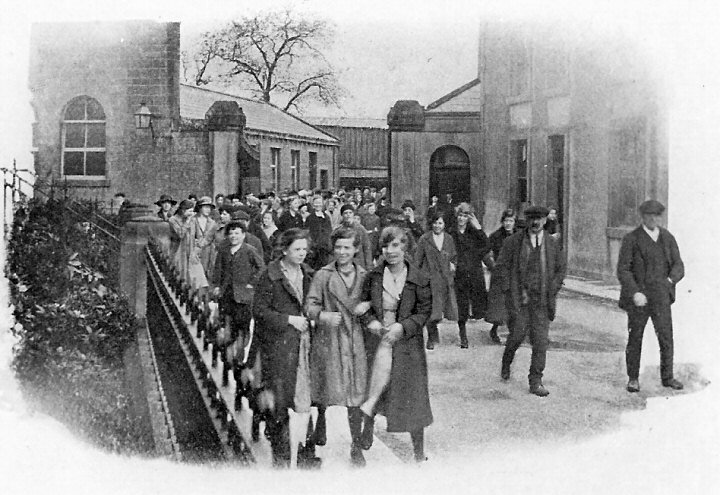 Phase two of the extension being built 1910. 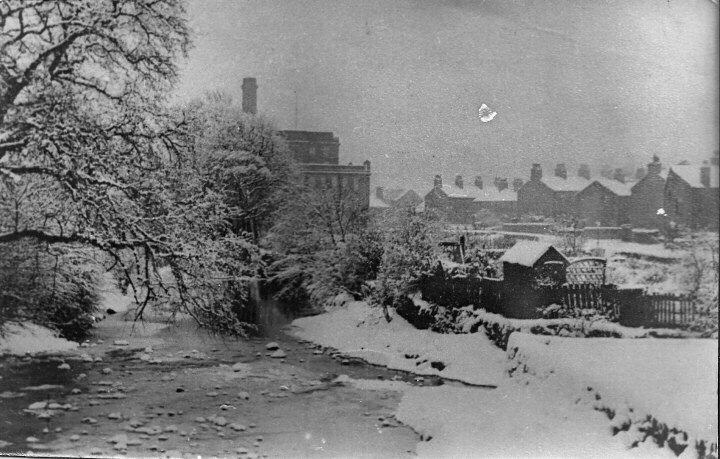 View of Mill showing Albert Street to the left and Tetley Row on the front right. 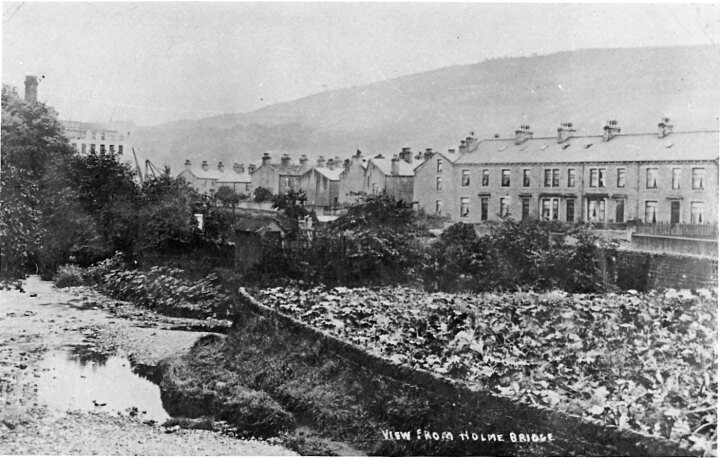 No Dixon Street or Ravenstone Gardens at this point c1900. 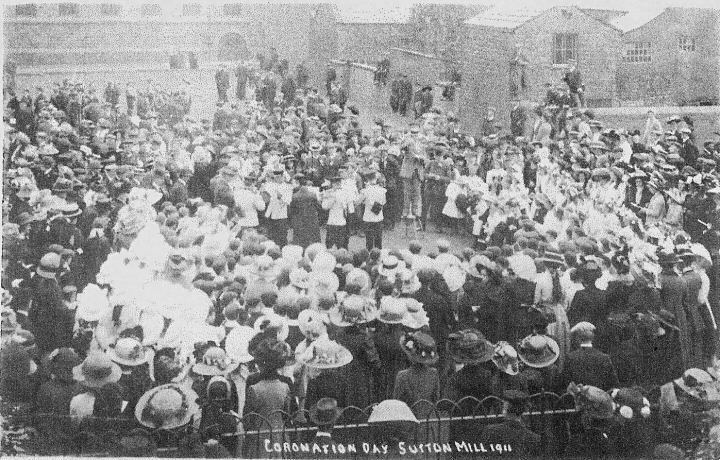 Coronation Day in the Sand Park opposite Sutton Mill. 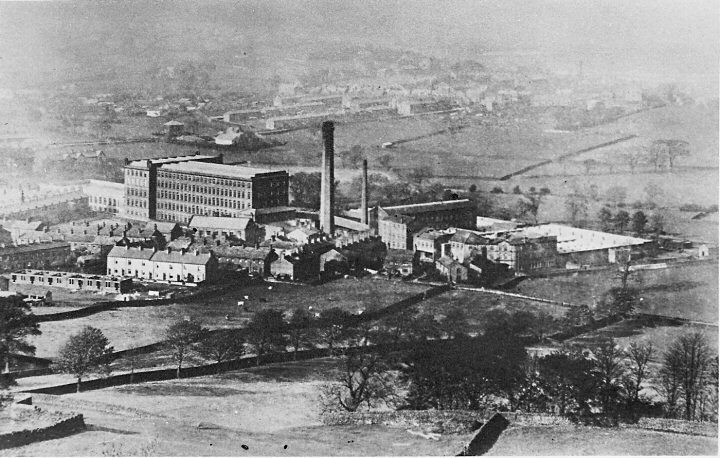 where the Barrett Estate has now been built showing old mill and first phase of new mill c1890. 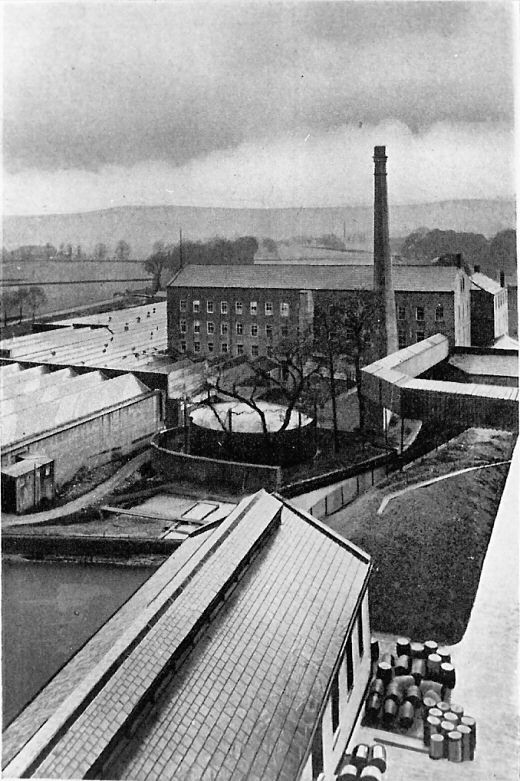 Old Mill and weaving sheds, sud ponds and gasometer. (the latter is now demolished).